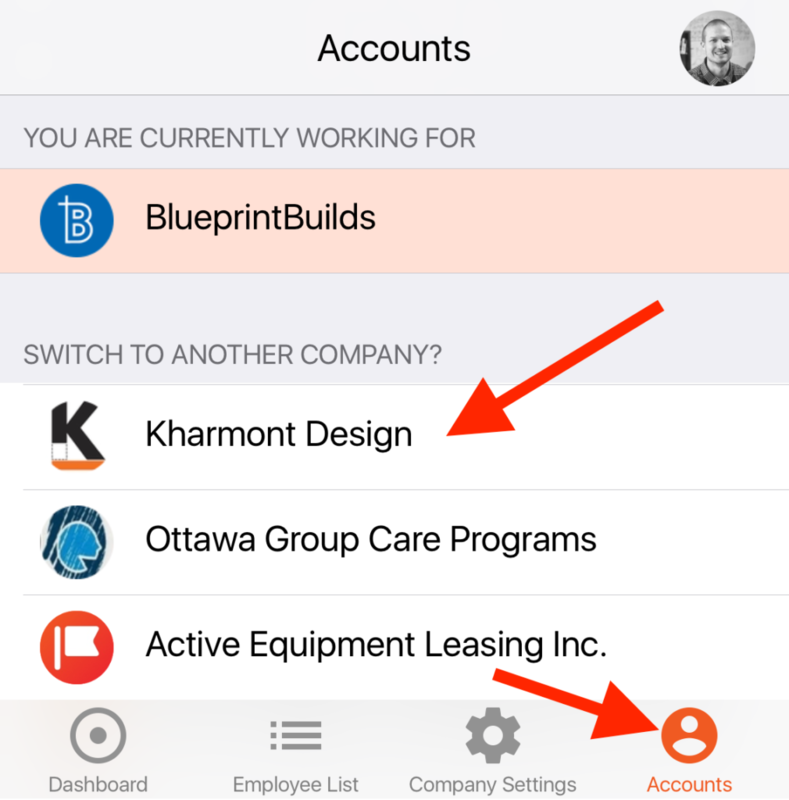 Punchtime makes it easy to join and switch between multiple organization with a single account. If you already have a Punchtime account and receive an invitation to join a new company, please follow these simple steps. 2. Log into the app and tap the Account button. From there you will the option to switch companies or organizations.